I was still feeling sluggish after adding b-complex, zinc, and selenium (hashimoto recommendation) when a read about thiamine maybe being helpful in larger amounts. I tried this one and have been really pleased with the energy increase. I was recommended to take BenfoMax by Pure Encapsulations for hypothyroidism and so far it helps! Thiamine is an essential B complex vitamin that can provide a variety of health benefits. Pure Encapsulations' BenfoMax contains a highly bioavailable form of this nutrient called benfotiamine. 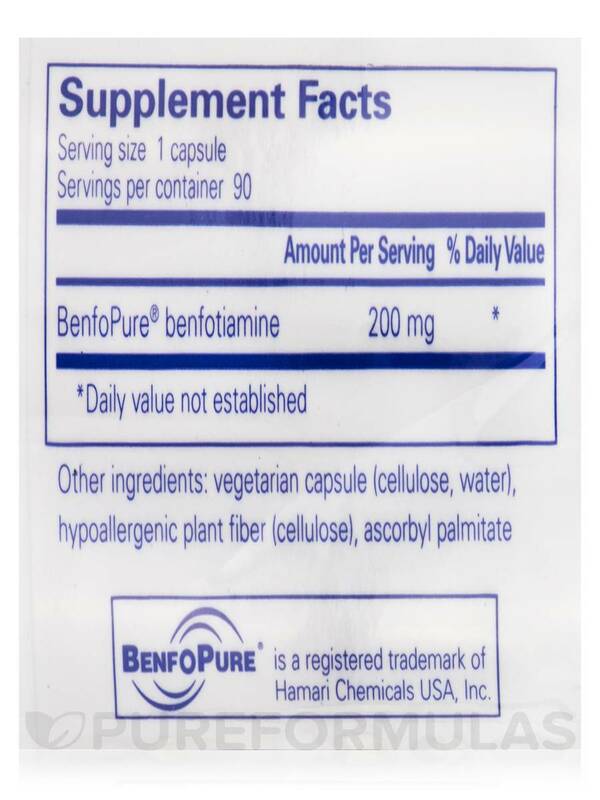 Benfotiamine was developed in Japan by scientists in the 1960s and is fat-soluble‚ making it more easily absorbed and longer-lasting in the body than common water-soluble forms of vitamin B1 like thiamine HCl. It is found in vegetables such as onions‚ leeks‚ and garlic; unfortunately‚ the amounts in dietary sources tend to be small. This supplement may help maintain healthy levels of AGE (advanced glycation end product) activity; this is because thiamine promotes production of TPP‚ an enzyme that may support already healthy glucose metabolism. An enzyme known as transketolase uses three biochemical pathways to protect vascular tissues‚ which are the blood vessels that circulate blood to and from the heart and other vital organs. BenfoMax may also support the nervous system by promoting comfort‚ as well as the conduction velocity of nerves; this may allow nerve impulses to better communicate with each other. Due to its potential to moderate the enzyme activity of protein kinase C and support cytokine balance‚ benfotiamine might also support retinal function in order to support good vision. Furthermore‚ it can promote kidney health by supporting the functioning of renal glomeruli. Glomeruli are small units that are responsible for cleaning and detoxifying your blood before it is re-circulated into the blood stream. 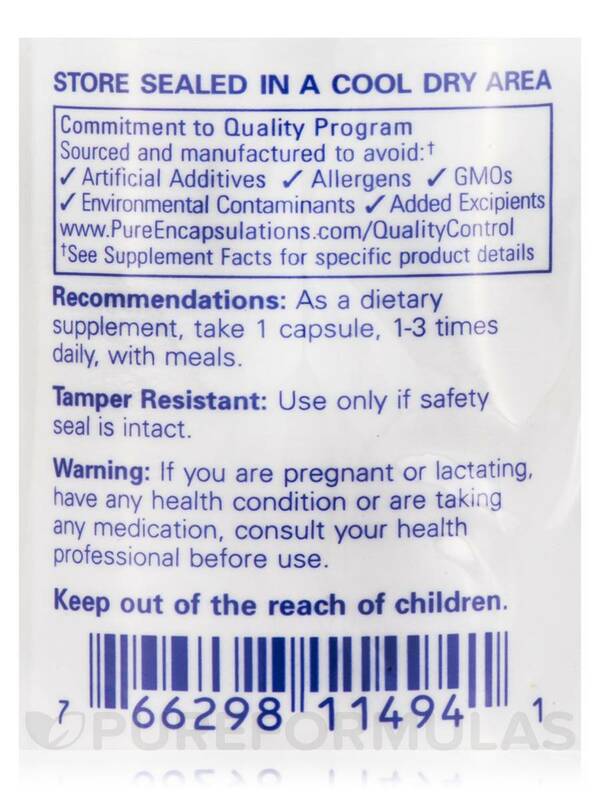 Take one to three capsules per day‚ in divided doses with meals. 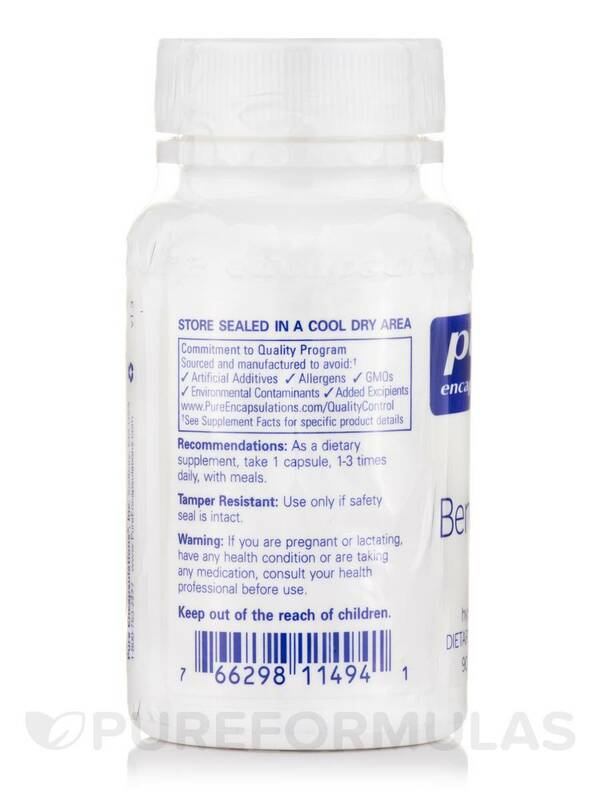 At the recommended dosage‚ each 90-capsule bottle of BenfoMax by Pure Encapsulations should last from one to three months. Quality and ease of assimilation. I love BenfoMax by Pure Encapsulations. It seems to even out blood sugar. I was expecting a tremendous increase in energy, based on another's recommendations but BenfoMax by Pure Encapsulations was just good. It does increase your energy a little. Not as strong as i thought based on another's recommendation. I have idiopathic peripheral neuropathy affecting from knees to my toes. 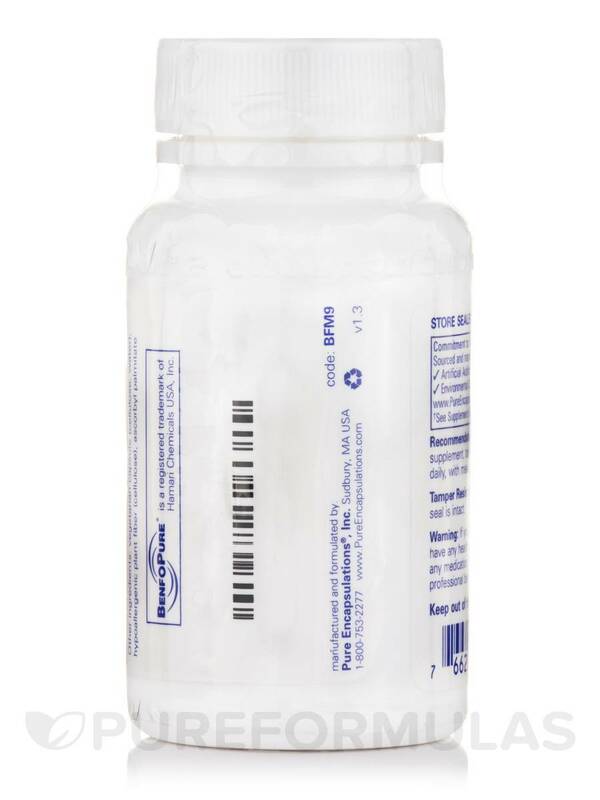 I was taking 1200 mg of gabapentin daily, until I tried BenfoMax by Pure Encapsulations. Now I don't use gabapentin any longer, and the neuropathy has nearly gone away affecting only my toes. Helped with peripheral neuropathy symptoms. Hi I have trouble swallowing pills. Can you tell me the size of the BenfoMax capsules please. Many thanks.